This past week I had the good fortune of being able to take my two boys to Universal Studios in Orlando, Florida – specifically the day after Thanksgiving with my best friend and her family. 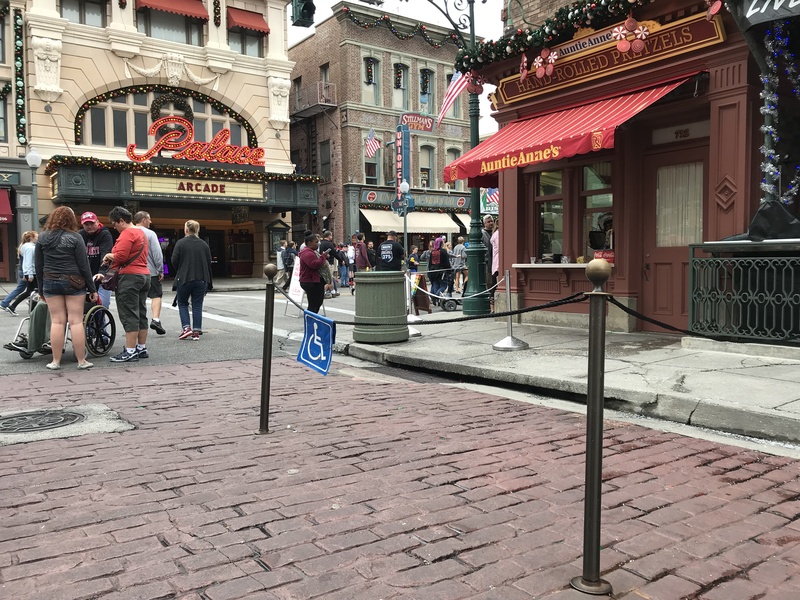 I hadn’t been to Universal Studios in at least 18 years (when I was walking), so I was anxious to see how wheelchair accessible the newer rides and attractions were. We got to the park (only the Studios side; NOT Islands of Adventure) right when it opened at 9:00AM and stayed until 7:00PM, and we experienced every ride and one show during our stay. Below are my impressions of the accessibility at Universal Studios Orlando. The Layout. Universal Studios Orlando isn’t anywhere near as large or spread out as Walt Disney World, so it’s a bit easier to manage distance-wise. That being said, your arms (if in a manual chair) or your battery (if in a scooter or manual chair) will get a workout. There are eight main areas that are laid out in a circle around a central lake. There are numerous side streets within those areas, and lines to get into rides and shows can be long and winding, all of which will add miles to your day. After ten hours in my power chair, I was down to two red lights and two orange ones. I would suggest bringing a charger with you if possible. The park looks like a big city with streets and sidewalks, and there are curb cuts everywhere. There are some cobblestone sections in San Francisco and pretty much all of Diagon Alley, but they’re not too rough. The Rides. Universal Studios Orlando has a Rider’s Guide for guests with disabilities. I’ll provide some general information from that guide here, then add my own two cents based on personal experience. There were a LOT of people using rented electric scooters and manual wheelchairs provided by the park. I don’t like to assume anything about anyone, but based on what I saw at each ride, many of these people need the assistance for long distances and were able to transfer independently to the rides. I saw only one other person in a large power chair. I will tell you right now, if you have limited upper body control and cannot transfer (at least stand up and pivot or be carried easily by a companion), your options at Universal Studios will be extremely limited. 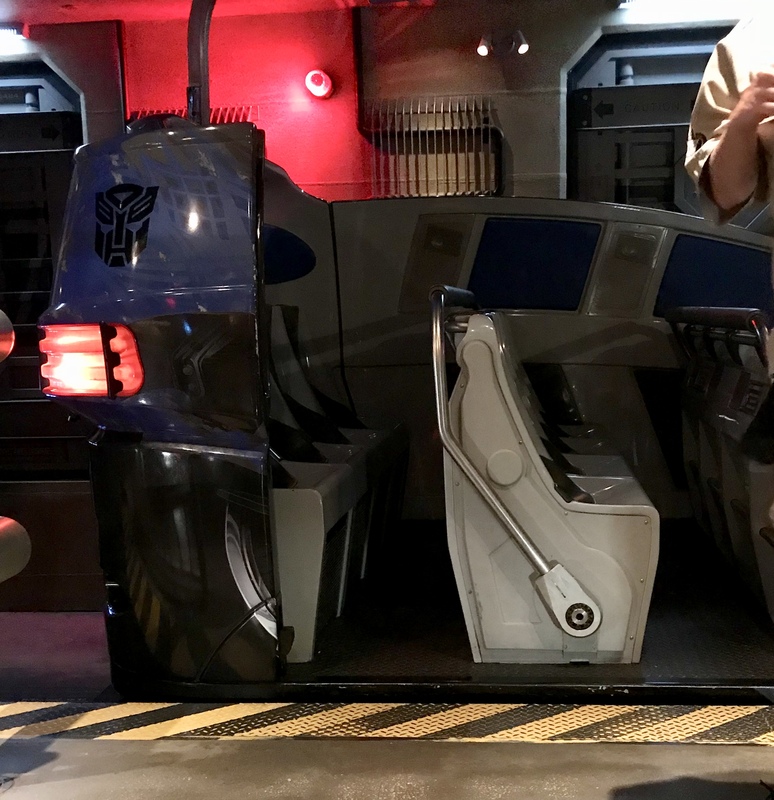 Rides like Transformers and Revenge of the Mummy have a completely flat threshold between the ride car and the platform, so you can get right up to the car in a manual chair (provided at the ride), plant your feet, and pivot into the outside seat. But again, you need upper body control because almost all the rides – virtual 3D or not – will toss you around. There are some attractions where you can stay in your power chair. Shrek in 4D is in a large theater with seats that move in coordination with the short film. There are seats removed throughout the theater for wheelchair spaces, so you can enjoy everything (minus the shaking) without having to transfer. In the Minions attraction, the front of the theater has a curved bench for people who can’t get into the moving platform seats. You’re very close to the screen, but get a similar feeling of movement with the 3D glasses. Even though I wasn’t able to actually go on most of the rides, I did thoroughly enjoy going through the lines with my kids and our friends. Almost all the lines for rides are accessible until the very end, so you can hang out with your companions until they board the ride car and you get deviated through a shortcut to the ride exit. If you do not have an (expensive) Express Pass, you have to go through and wait in the regular line like everyone else because there is ample space to do so. It’s not like Disney where wheelchair users are told to come back at a certain time and jump to the front of the line. 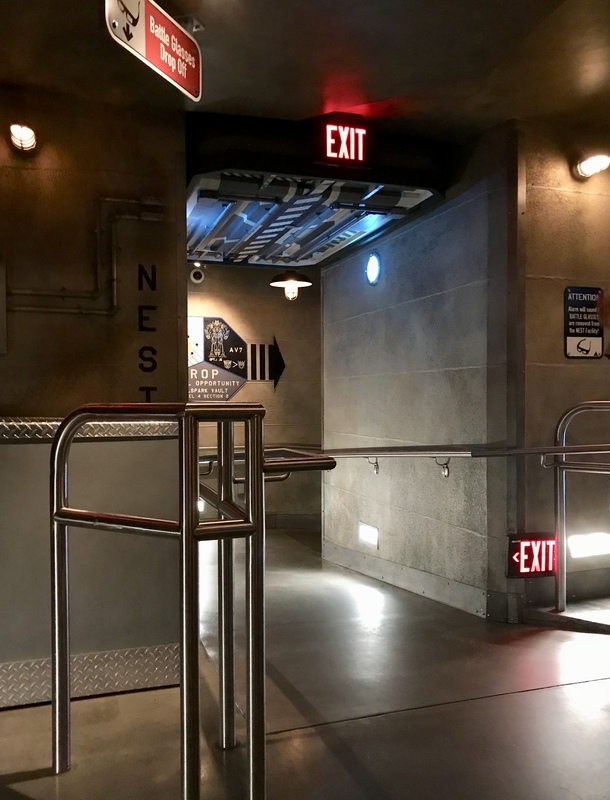 Universal does offer Attraction Assistance Passes where guests are told to return, but this is designed more for guests who have autism and other disabilities for whom waiting in line can cause a lot of stress. We had Express Passes, but we still had to wait sometimes. Again, I didn’t mind because I got to spend that time with my family instead of waiting alone outside. For more details regarding the physical requirements for each ride, PLEASE refer to the Rider’s Guide! Stage Shows and Parades. One of my favorite parts of our day at Universal Studios was the Animals Actors on Location! show. This took place in a covered amphitheater with bleacher-style seating. There was ample space on the floor level for wheelchairs and scooters, as well as reserved seating for companions. They also have the Fear Factor Live! show with a similar setup. Any show in Universal that takes place on a stage in a static location will have these designated areas. For the parades, there are sections of the streets and sidewalks that are roped off specifically for wheelchair users so they can see. Restaurants, Stores, and Restrooms. All dining and shopping areas in the park are wheelchair accessible. 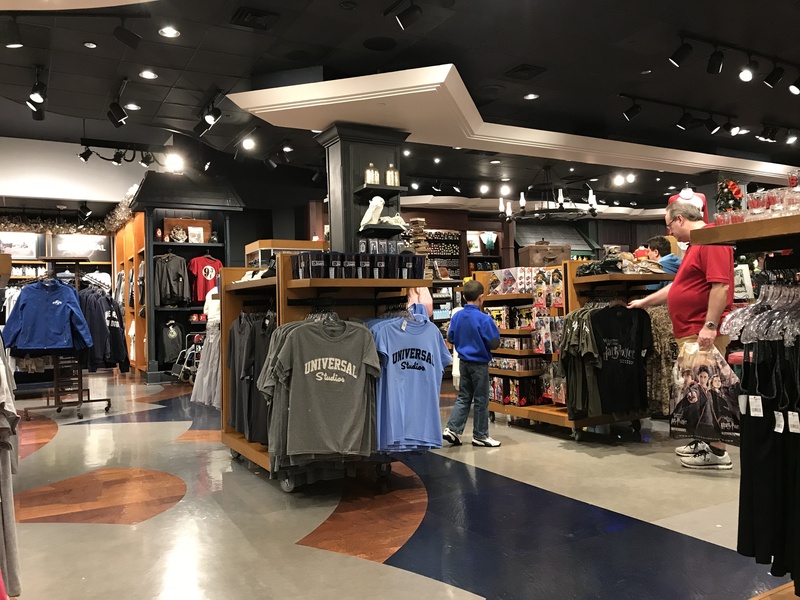 I had no problem navigating through the counter service restaurants, and the gift shops have lots of room between displays. It’s the crowds of people you’ll have more trouble with! The restroom locations throughout the park usually have a separate family/accessible bathroom, but if it’s occupied, the wheelchair stalls in the main restrooms are very large. To Sum Up. Despite not being able to go on most of the rides, I still had a great time at Universal Studios Orlando. Before you make plans to go, you really need to assess what your physical abilities and limitations are. If you are in a large power chair with limited upper body control, you can go through the lines with your companions, enjoy a couple of the attractions with stationary areas, and see the shows. However, you may want to think twice about dropping a LOT of money on the Express Pass for yourself for rides you can’t go on (although it is helpful for Minions and Shrek). For me, it was worth it just to be with my kids. If you have the ability to transfer, the Universal staff will bend over backwards to help you. 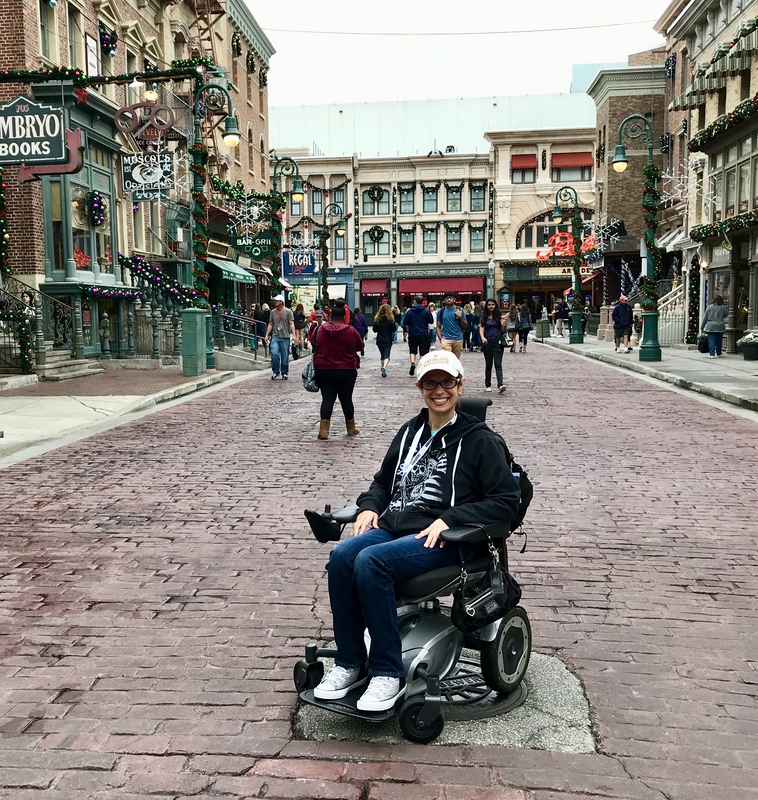 For anyone in any type of mobility device, there are also many fun things to see and do just along the streets of the park, so make the most of it! Are you thinking about an accessible theme park vacation to Florida? Contact me at my accessible travel agency Spin the Globe / Travel and I can help you make it happen!